Karen was built by Peckett and Sons of Bristol in 1942 (works number 2024). 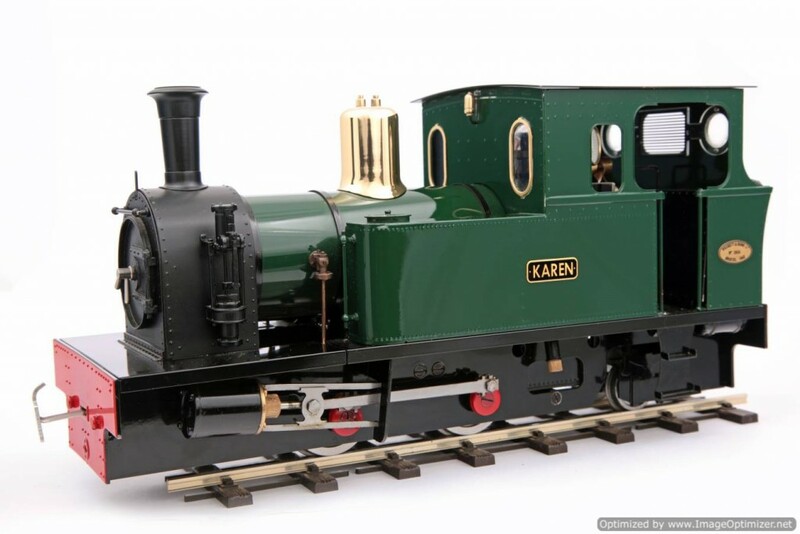 One of three locomotives built for the Selukwe Peak Light Railway in Rhodesia, Karen was bought by a consortium of Welsh Highland Members in 1976. After restoration, she entered service in 1983 and gave a decade of reliable service until the boiler became due for a major overhaul. 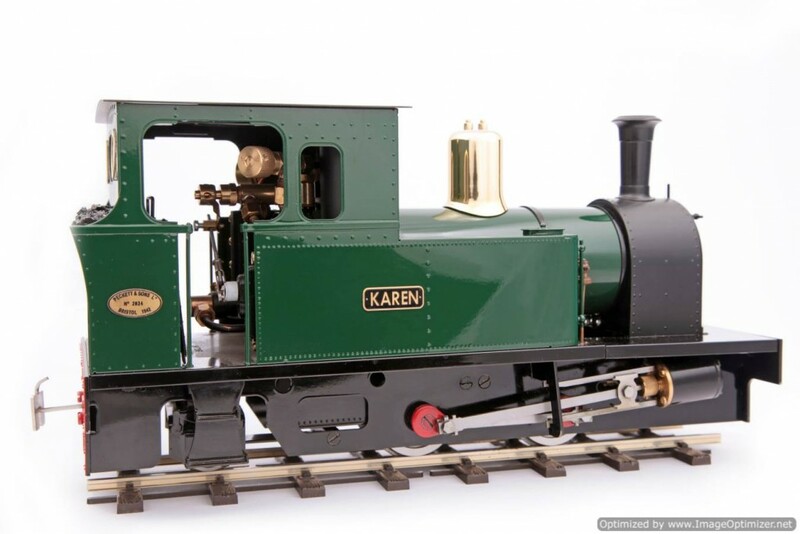 Karen is currently out of service but can be seen as a static museum exhibit at the WHHR. Available as 32mm or 45mm – Please state gauge when ordering. Internal gas firing using our ‘FG’ type burner. Outside framed 0-4-2 chassis with two double acting slide valve cylinders operated by Roundhouse Inside Valve Gear. Water top-up system and water gauge. Controls fitted as standard are :- steam regulator, safety valve, pressure gauge, displacement lubricator, gas regulator and reversing gear. Dimensions are:- Length 313mm (over buffers), Width 113mm, Height 159mm. Weight 3.7Kg. (with Radio Control fitted). Full 2.4GHz R/C is available for both regulator and reversing valve gear. A gauge conversion kit is available separately to change between 32mm & 45mm. Supplied with etched brass name and works plates. Available in all standard ROUNDHOUSE colours.